First you'll need to find one or two pictures that you'd like to use, and print them out. 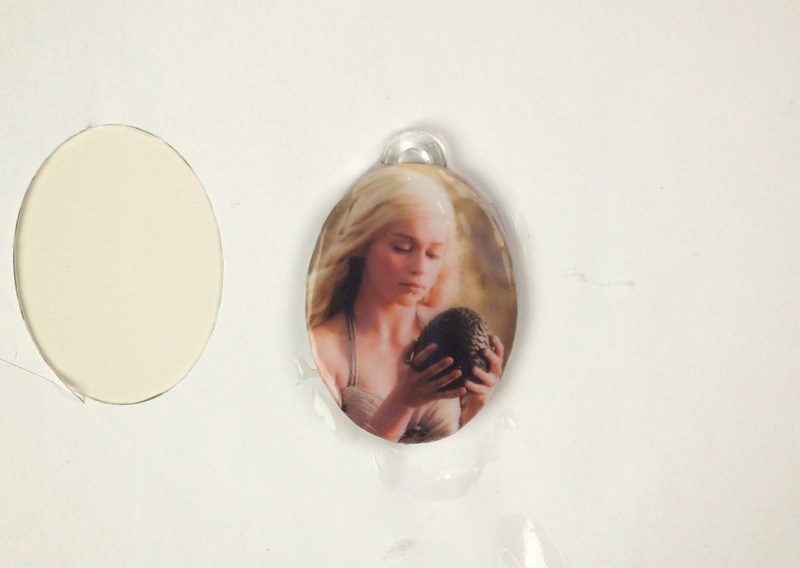 Make sure that the'll fit onto the shape that you're using (you can trace the shape onto the printed photo to make sure that it'll be the right size), then cut your picture(s) out. 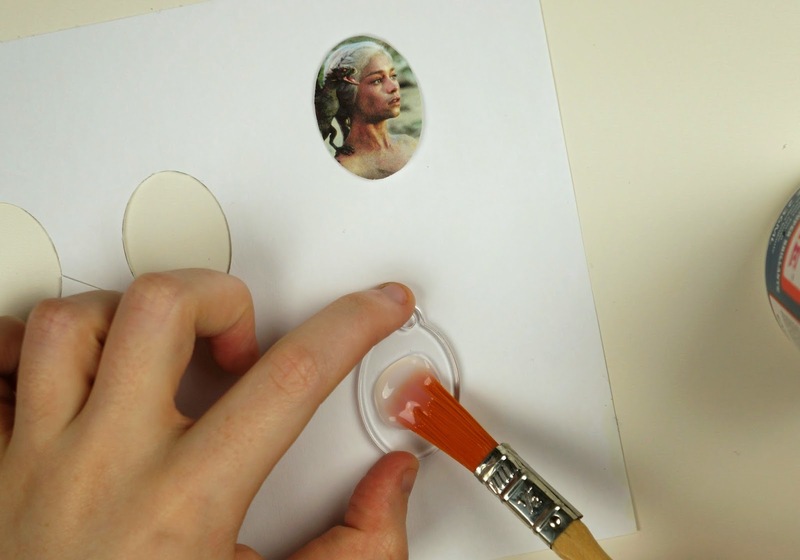 Next, using some Mod Podge or clear-drying glue, spread some onto one side of your shape, then place one of the photos onto the gluey side of the shape. Once the photo is stuck into place on your shape, spread more of your clear gloss finish on top of your photo. 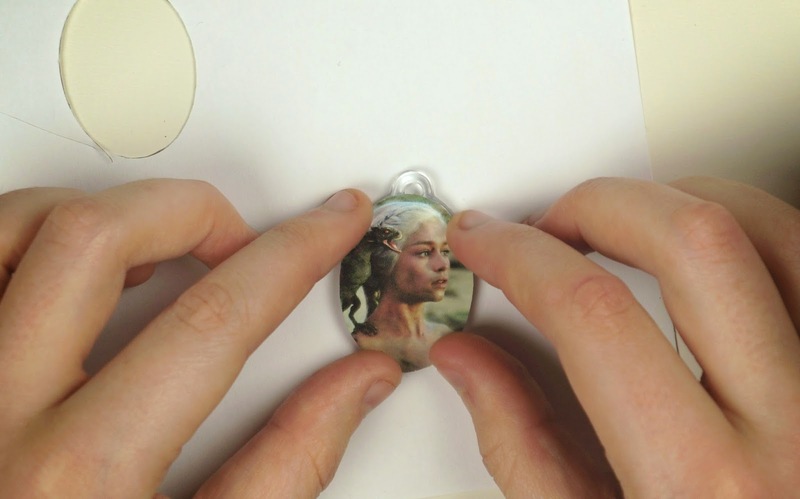 Make sure to go along the edges of the picture so that it's sealed securely to the shape. 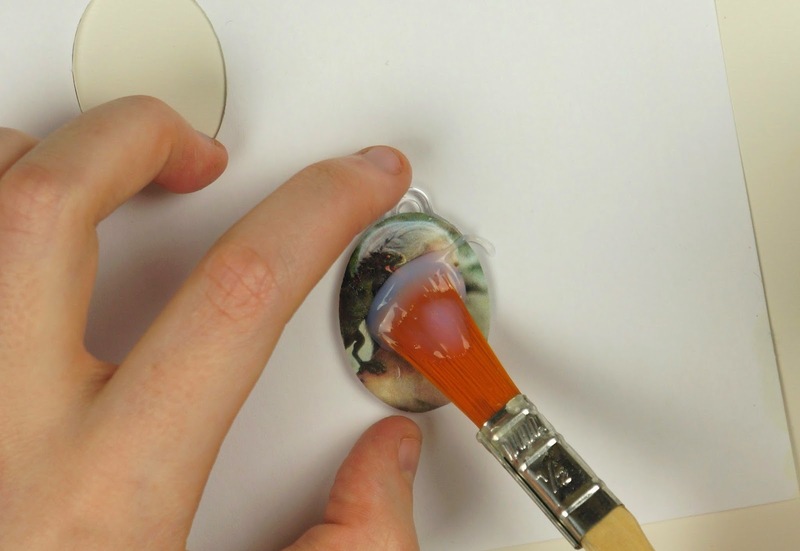 Let the coating dry then you can do the same thing for the other side of the shape. Now it's time to move onto the scales. 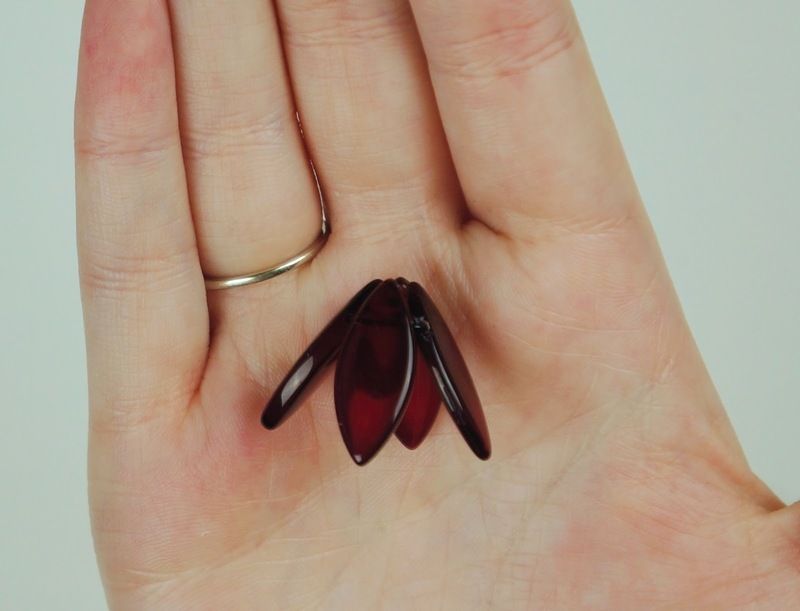 Cut a generous piece of thin elastic or fishing line and thread 3-5 (or more, depending on the size of your beads) of your scale beads onto it. 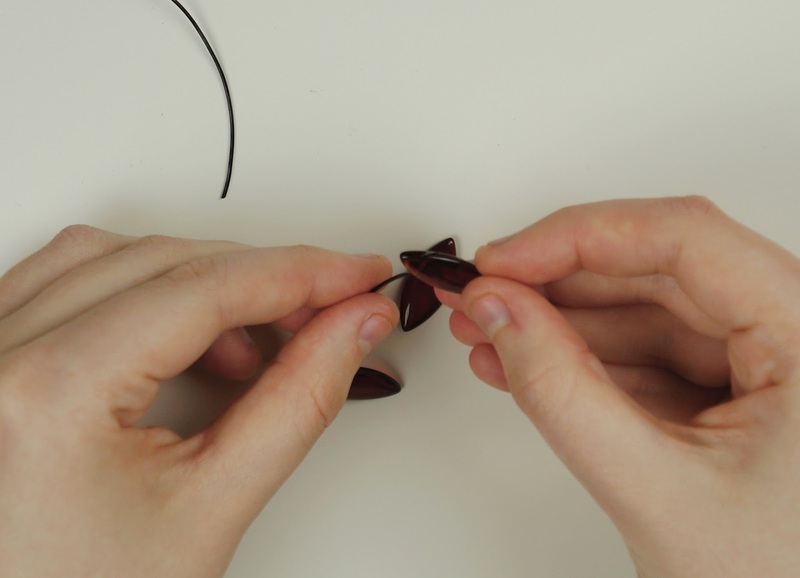 Then double or triple knot the ends of the string together , tightly to the beads. 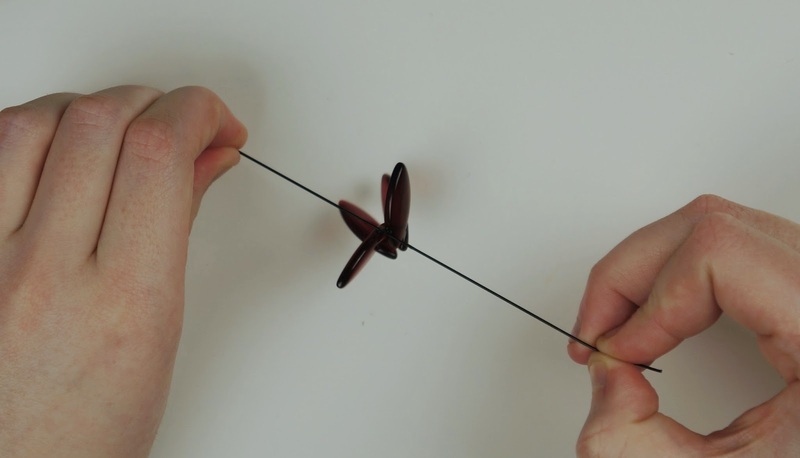 Cut any excess string, leaving a tiny amount so that it stays tied together. Repeat these steps until you have around 5 clumps of scales. 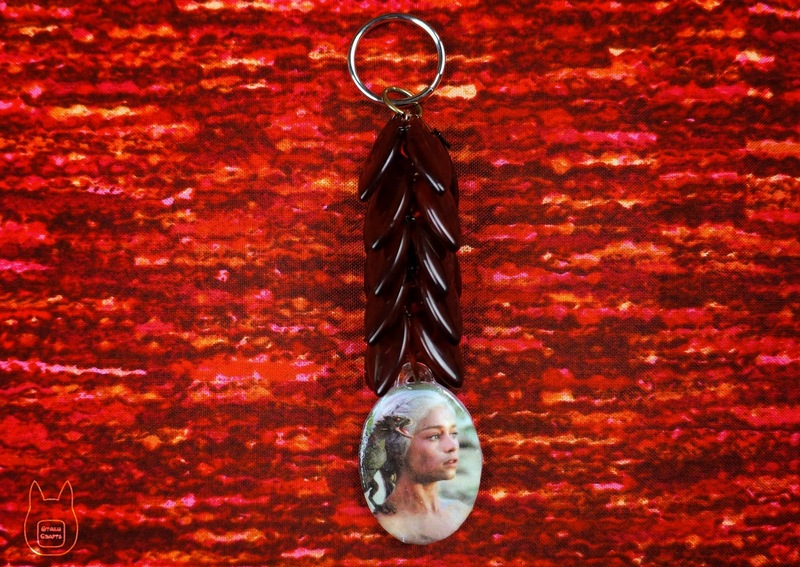 Your amount of scale bunches will vary depending on the size of your beads and how long you want you keychain to be. Next, chain together some of your jump rings, a size that the scale clumps will be able to be threaded onto later. Once you're happy with the length of the chain, add a couple of larger jump rings to one of the ends of your chain, a size that the scale clumps won't be able to slip by. 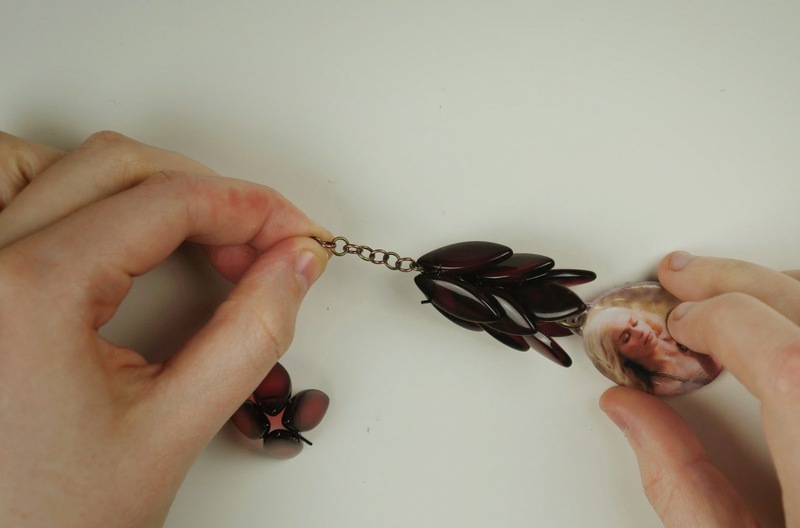 Also chain your dried picture shape to the end that has the larger rings. 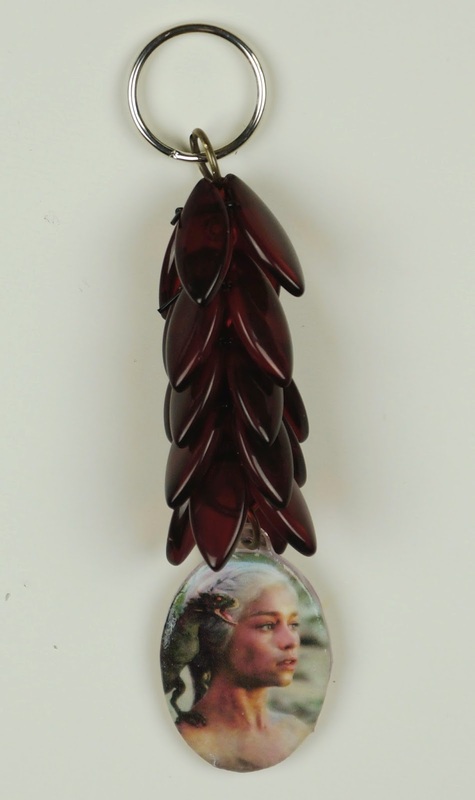 Now you can start to string your scale clumps onto your chain. 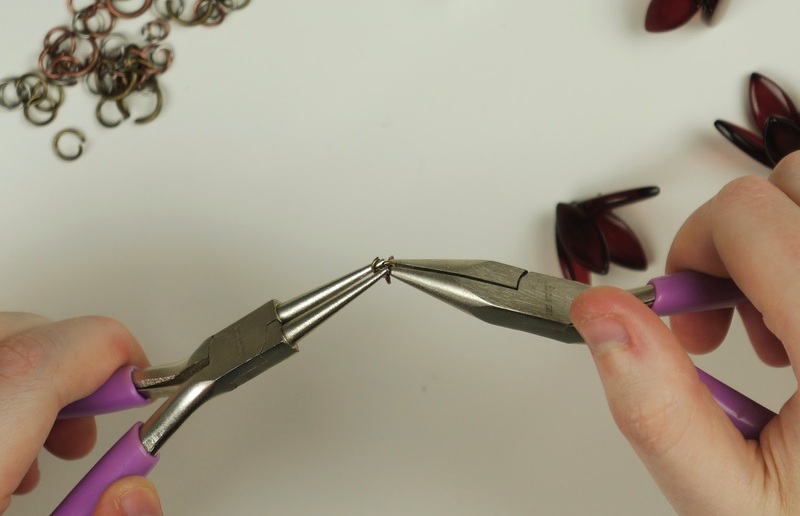 If you are worried that the scales might slip off or don't want them to move around too much you can always take one of your small jump rings and attach the clump to the chain. Finally, attach a split ring to the top of the chain with a larger jump ring. 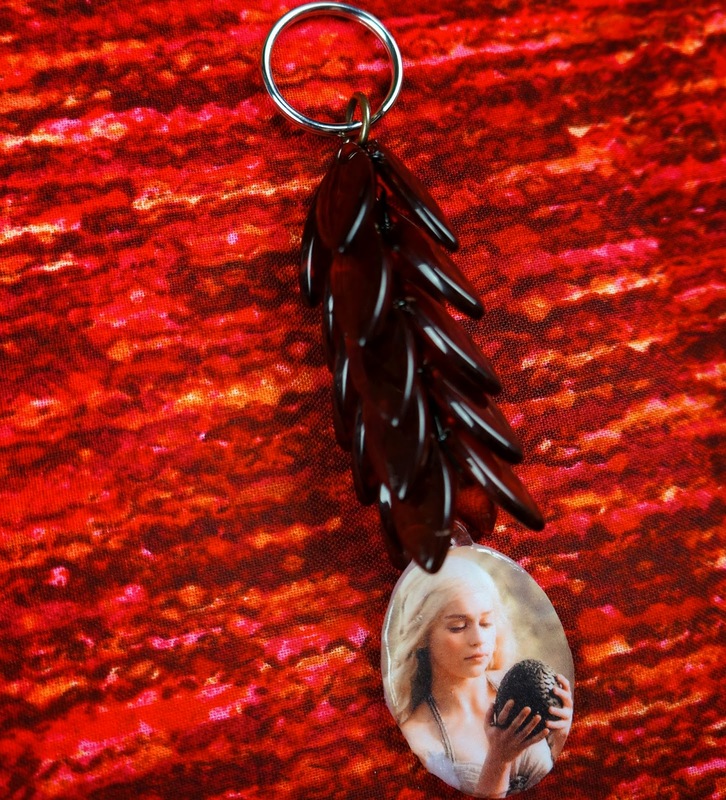 Now you have your finished Mother of Dragons keychain!